Today’s bikes cost a fortune, so cyclists now must get the best bike racks that will avoid theirs bikes to get damage and also would allow them to lock the wheel and frame with a safe and effective ‘U’ locks. It is a shame that a lot of parking facilities provided for cyclists and people and general are poorly manufactured and even the design is not the one that fits to their needs. Cyclists must lock their bicycles to trees or posts, or also leaning them against a building front. This may damage others property or become a problem to pedestrians. Therefore, Check out these initial guidelines that will help you choose an appropriate bike rack. Security – A lot of bikes have ‘quick release’ front wheels, so your choice would need to include security for this wheels and frames. Buy a rack that allows you to lock with a U lock the wheel and also the frame. Any damage – If a public parking rack would dent or damage a bicycle it won’t be used. There are racks called wheel benders, may damage the wheels or frame of any bicycle. Capacity – Choose a rack that will hold at least ten bikes. Buying this kind of racks would let you save money compare to buying a plenty of lower capacity racks. Design – bike racks ought to attract cyclists. Protection – racks need support the bike frame and without holding the wheel. Security – racks need to lock the bikes securely. Racks must be built from heavy duty materials and need to be weather and tamper resistant. A plenty of bike racks are available in a variety of finishes. Paint – Racks that are painted chip and rust. Stay clear. Colour coatings – corrosion resistant. Galvanised steel – weather resistant. Do not buy pre-galvanised tube unless you place them in undercover areas. Stainless steel – good looking and expensive, but increases the shine and gives even more protection than the previous types. Another bike rack variants are trunk racks, bike racks at the roof, bike racks at the wall, rear ball/hitch mounts, spare tire racks, bike racks at the front bumper, tandem carrier and folding bike racks. You have a plenty of different designs in catalog, you may pick one according to your particular needs and requirements. Choose bike racks that truly protect both bike and vehicle. Bike racks at the roof are often utilized, and it may be a good option to carry bicycles in many different vehicles. Take advantage of using this rack as it sustains up to 4 bikes. Many of these bike racks are fasten with a useful camper roof that is used normally on sports SUVS or Jeeps. Rear hitch-mount, also called receiver hitch, may have up to 5 bicycles. For carrying up to 2 bicycles, this type of racks is the best option. A car with a high front end may set a rack on front bumper, so this one can carry a maximum of five bicycles. Trunk racks may sustain 3 bikes, and the best feature about this kind of racks is that they are the safest racks I know. You can also find spare tire racks. Bike racks set at the wall as well as folding bike could be the best variants that save you a lot of space in your garage. Thule 599XTR Big Mouth Upright Rooftop Bicycle Carrier – easy to understand the clamping system used in this bike rack. It also has self-adjusting jaws that work automatically so you would be able to fast your bicycle to your vehicle. Yakima King Cobra Rooftop Upright Rack - can clasp tightly on the rack you put on the roof of your vehicle and also ensures you that the bike can carry on to this roof rack as safe as possible. Swagman XC Cross-Country 2-Rack – If you decide to hold up two bikes on your vehicle, then you need to have this bike rack model. It has a top arm and an attachable tire hoops that are fast to release. Yakima Kingpin 5 - if you need to hold up five bikes this may be your best choice due to its dual arm that can hold on to most of the bikes. Yakima Fullswing 4 – it has a security system, a deadlock, specifically that will let you leave the vehicle and your bicycle without being worried of thieves. In order for you to find out the best option you would need to incorporate both safe features and an innovative design. 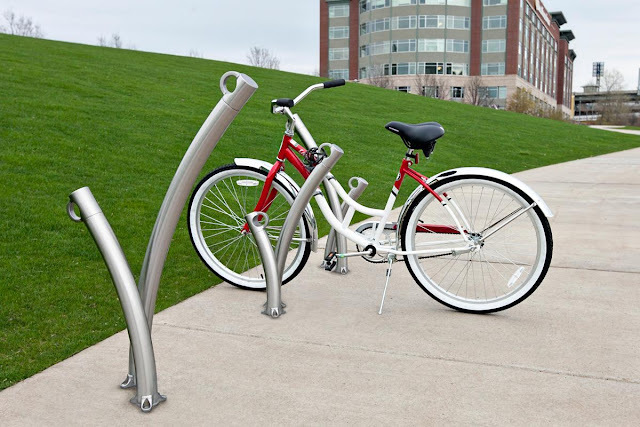 Just look at the available styles and features available in today’s bike racks in order to help you discard the racks that do not achieve the adequate balance between safety and design. You’ll also see racks that fit some environments better than others. If you consider a couple of big important features thanks to a little bit of solid research, a clear winner will surely start to emerge. Load – Will you need to hold on more bikes in the future? If you have plans to grow your family members, or just likely to invite some good friends to go biking, then you will need to transport more than your currently bike. In that case be absolutely sure to choose a model with a flexible carry-load (avoid purchasing another bike rack by buying one that allows you to hold on as many as possible, in any case you do not carry up five bikes now, it does not use a lot of space in your roof or wherever you place this rack). Durability – Base your purchase on how long it will last, quality racks will last a lot of time, on the other hand if you just plan to use it for a couple of trips then just buy a lower price-range. Vehicle-rear racks: Maybe a usual form of rack used is the one you can usually old on 3 bikes, and the rack is adjustable using straps and metal hooks. Bicycles are many times hooked up very close together, and the use of foam pipe-insulator as a protective wrap is indispensable. Bicycles must be strapped to avoid bounce, and access to the boot is normally completely cut off. So, now you have the basic points ot consider before purchasing a bike rack. You might also consider shopping online. Obviously, before you purchase any bike rack you have to ensure that it will be working well enough for your car or other vehicle but gathering some information and users reviews that will let you take an informed choice and allow you to buy the best bike rack that you will not regret.